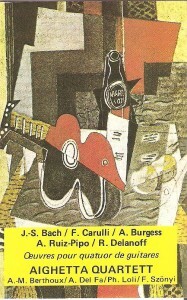 Guitars : Olivier Fautrat, Philippe Loli, François Szonyi, Alexandre Del Fa. 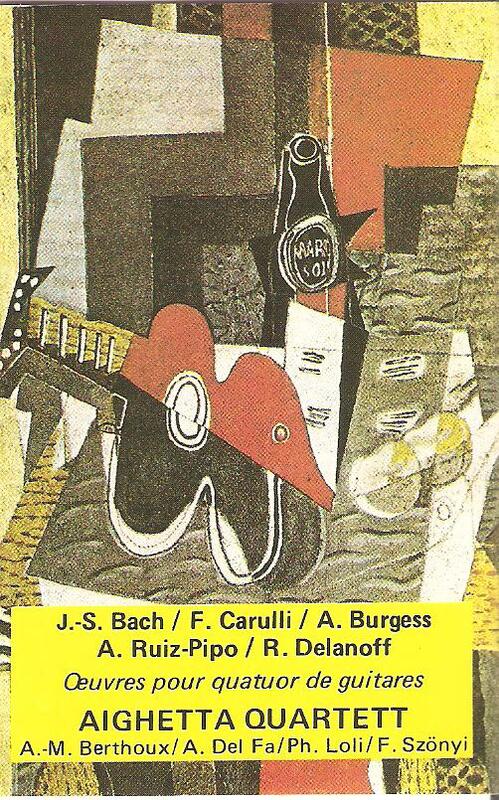 Since its debut in 1979, our group has approached very diverse musical repertories. Sometimes working as an independent group or as support for other recording artists, other times with string orchestras and even with symphonic. We play classical and contemporary works in addition to jazzier pieces and personal compositions which inspire improvisation. Our numerous collaborations with a wide range of musicians reflect our diversity as a group. Joining forces with Anthony Burgess, author of A Clockwork Orange, led to the creation of a cycle of three quartets (ED 13049 / Nocturne) and a concerto Grosso. Later on, John McLaughlin, founder of the Mahavishnu Orchestra and Shakti, invited us to play in the Time Remembered Group for the recording of two albums (Time Remembered – Verve 519 861 2 and Thieves and Poets – Universal Music 980 107 5). We also have performed with Carlo Rizzo, maestro of the tambourine. 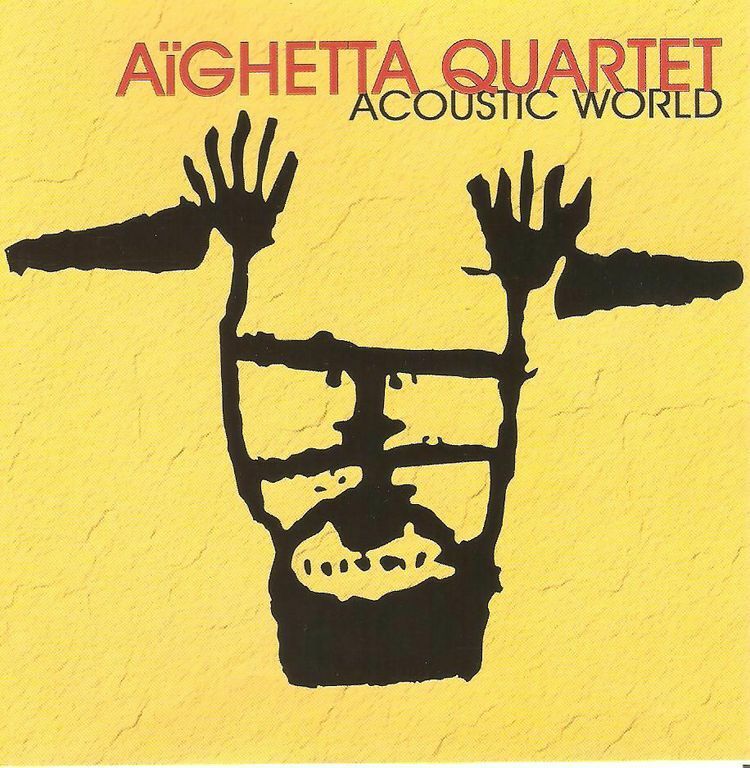 One of our more recent albums, Acoustic World (AW 12000), was exclusively dedicated to our original compositions. It also reflects this plurality of approaches to our music. The present opus differs from the others in that it is our first live recording. It is a testimony of the moment and the relationship between the group and its public, within a context of original creations, classical pieces and arrangements. 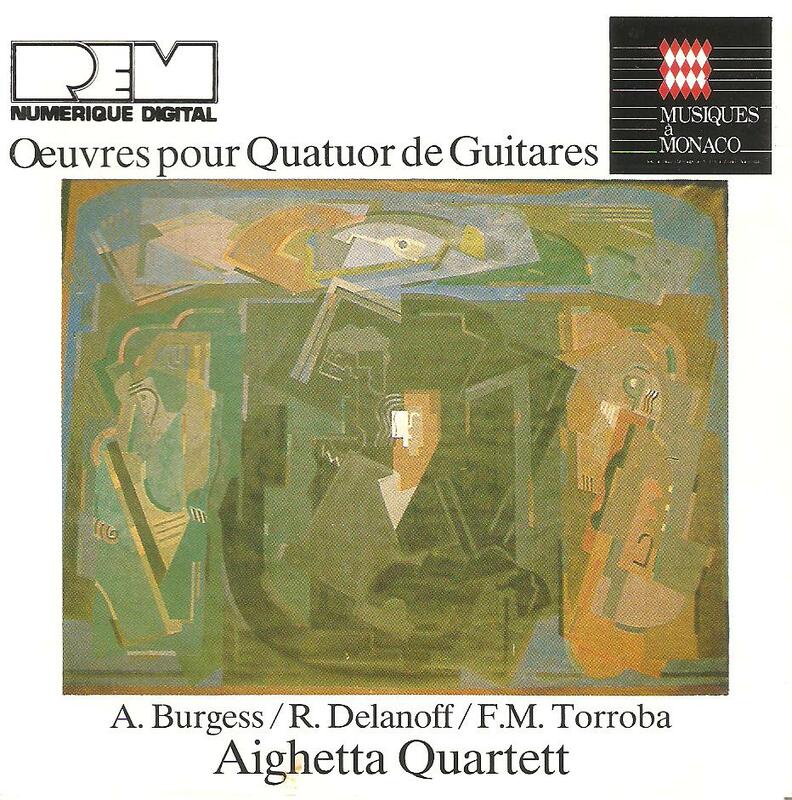 This brand-new project from the legendary guitarist features an orchestral suite performed by I Pomeriggi Musicali di Milano as well as a number of classic standards. Thieves and Poets marks a welcome return to form by McLaughlin. It is his first new studio album in nearly six years. 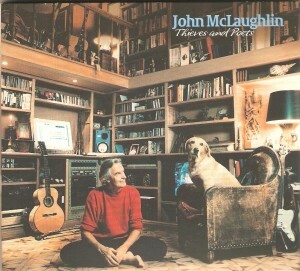 The new CD begins with the three-part suite“Thieves and Poets,” which McLaughlin says “is in a way, a story of my musical journey through life.” The cinematic piece features McLaughlin on acoustic guitar along with the orchestra, conducted by Renato Rivolta.Also featured on the second and third part of the suite, as well as the album’s four standards, is The Aighetta Quartet (Olivier Fautrat, Francois Szönyi, Alexandre Del Fa, and Philippe Loli). 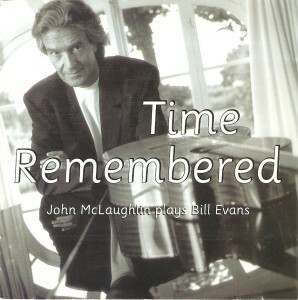 This acoustic guitar group can also be heard on McLaughlin’s 1993 Verve release, Time Remembered: John McLaughlin Plays Bill Evans. « Eccellente consenso ! 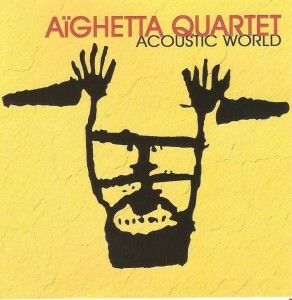 Tale potrebbe essere il titolo di questo album del quartetto Aighetta Quartett. 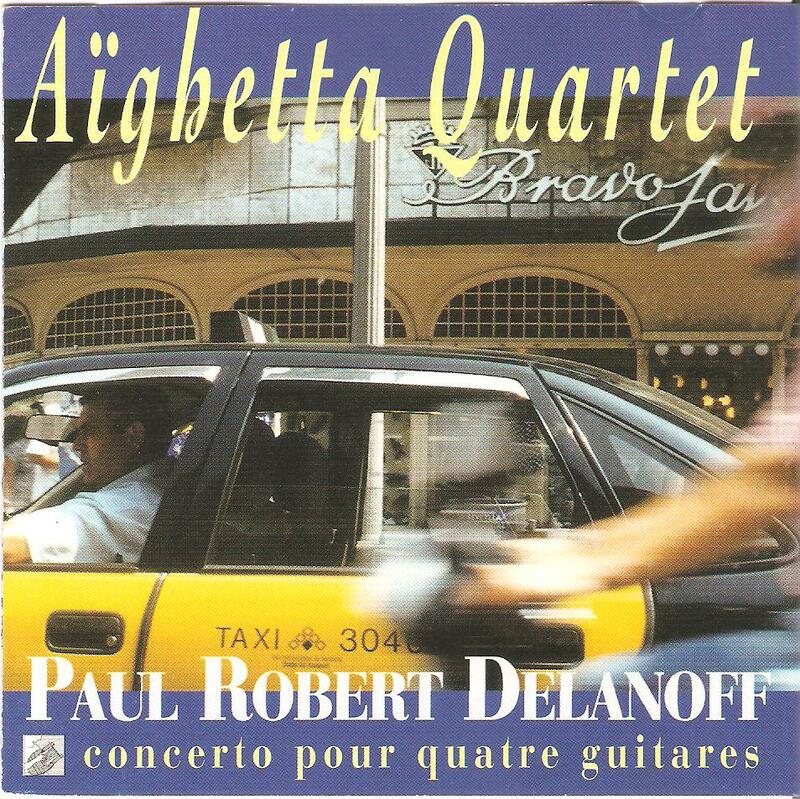 Su questo compact disc, Philippe Loli, Alexandre Del fa, Olivier fautrat e François Szonyi hanno inciso quattro bellissimi brani per la chitarra. Trascrire per questi quattro strumenti, la Petite Suite di Debussy, il Concerto par quattro tastiere di J.S. 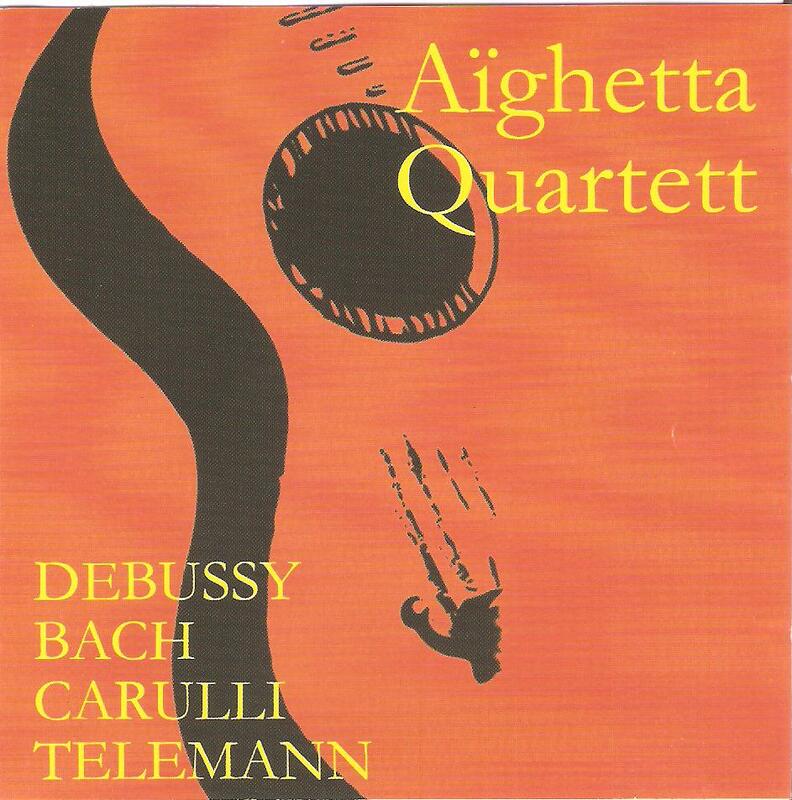 bach, il Concerto per quattro violini di Telemann e il quartetto di Carulli, dimostra una vera ambizione, e predispone l’ascoltatore a buoni sentimenti. Sopratutto non dobbiamo sottovalutare questi arrangiamenti . Il rispetto della forma musicale, dovuto ad una grande esperienza, ne fa emergere un vero lavoro di musicologia sincero e sensibile. Un ascolto molto gradevole e energico. 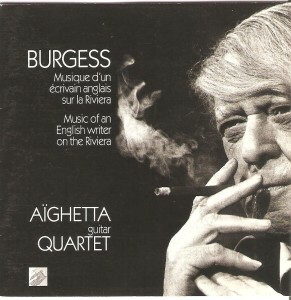 « Nel 1986, l’incontro con il quartetto di chitarre Aighetta Quartett, permette allo scrittore inglese Anthony Burgess di concretizzare le sue idee musicali. 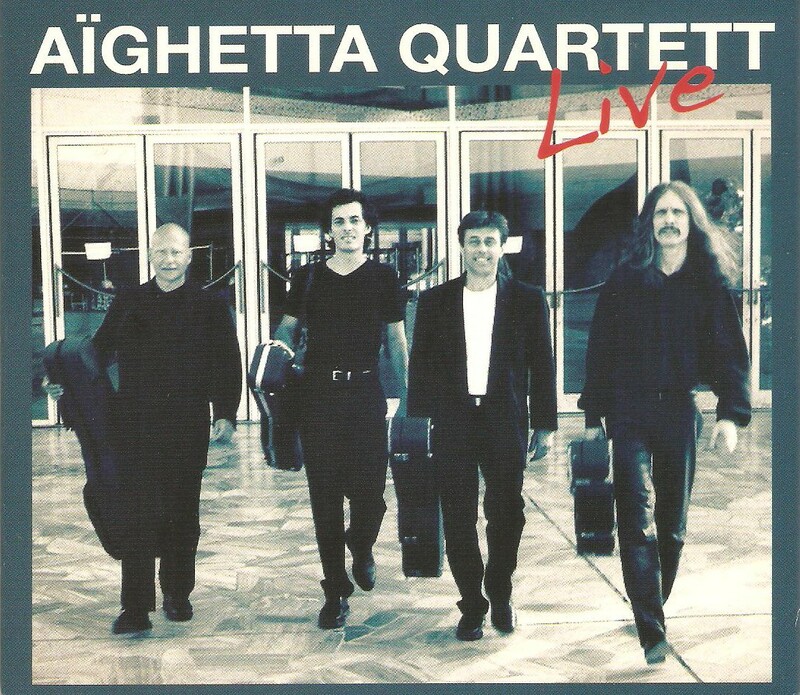 Sedotto dalla sonorità e le possibilità della chitarra, compone tre quartetti (1986-1988-1989) e un concerto Grosso per quattro chitarre ed orchestra. « Viaggio su 24 corde , Classico o Jazz ? In questo CD dedicato al compositore tedesco Robert Delanoff, il quartetto di chitarra Aighetta Quartett non ha difficoltà a passare da uno stile all’altro. 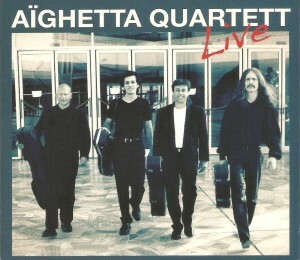 In questo Concerto in quattro movimenti il quartetto è a su agio sia nel tango Argentino, nel canto popolare Turco, nel sirtaki Greco che nel blues Americano. « L’idea di registrare la musica di Bill Evans inicament con la chitarra risale a undici o dodici anni fà. Le ragioni di questa scelta sono dovute al fatto che era, per me, un musicista profondamente romantico. La chitarra acustica essendo, senz’alcun dubbio uno degli strumenti più romantici che sia, ho saputo che potevo fare onore alla musica di Bill in questo modo…..